As the oil industry continues to reel from the impact of volatile prices the renewable energy sector is booming. Last year Canada was the 6th highest investor in renewables in the world according to a United Nations report with 8 per cent more committed last year than in 2013. 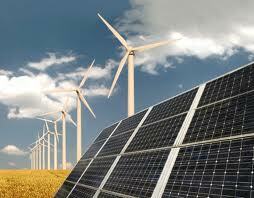 The total global investment in renewables, led by China and the US, was $270 billion last year, up 17 per cent. Canada’s contribution was $8 billion.